You have spaces to fill in your center. You’ve marketed like crazy to get your phone to ring. Now, you’ve booked a tour with an amazing prospect. What can you do to make them more likely to enroll with you? At Child Care Marketing Solutions, Kris Murray and her team of coaches and have made it their mission to help child care business owners to quickly enroll more children in their schools. I am a part of that team and I am so happy to be a “guest” on Chanie’s blog this week because we want to help you see true success in your child care business. We know that when your center is full, and your profits maximized, you can afford to attract the best staff and run a higher quality program. As a company, Kris and the rest of our team have set out to positively impact 1 million children through improving child care businesses such as yours. 1. Confirm Your Appointment with Your Prospect. Call them the day before, send them an email reminder 24 hours prior, and a text reminder 2 hours prior to their appointment. Let them know that you anticipate and look forward to their arrival. Make them feel like this appointment is a big deal and you are excited about meeting them. Help them feel welcome before they ever set foot in your doors! 2. Prep for Their Arrival. Convey the subconscious message to your prospect that they, and their business, are important to you by being prepared! Have your enrollment packet ready. Nothing looks more unprofessional than having to scurry around to piece together your enrollment packet, or worse yet, PRINT IT, for an appointment that has been scheduled. Mark the appointment on your calendar and block your time for the tour. Don’t appear frazzled or surprised for their arrival. Inform your teachers ahead of time about this tour so they can be prepped and ready too. Walk through the building and playground to look for any cleanliness or safety issues that you can correct before your prospect’s arrival. Keep the five senses in mind: What will my prospect see, smell, hear, touch, taste? Finding common ground increases the “Know, Like, Trust Factor.” When someone feels like they know you, like you and trust you, they are more likely to do business with you! Use their name and their child’s name often during the tour. Ask a lot of questions about the child, the family, and what is important to them. Cater your talking points to what is of interest or concern to the parents, rather than 15 minutes of mindless drivel about your curriculum and policies. Go out of your way to make them feel truly welcome at your center. Wow them, make them REMEMBER their experience with you! Have a snack ready for them. Cookies, cheese & crackers, coffee, juice boxes. Get creative. Nothing says “welcome” like sharing a treat together. 5. Ask for the Enrollment. Many times, parents will enroll when you simply ASK them to do so! They are looking for child care. They have already indicated that you are at the top of their list by touring your school. Sometimes they just don’t know the next step. Lead the way for them! Ideally you would have a special offer with a deadline running that you can use when asking for the enrollment. If they say they are touring other centers, congratulate them on their diligence as a parent, and restate how much you’d like to get a call with the good news that Suzie will be enrolling with you! Set a time to follow up, and then follow through on your follow up!! To learn more about Kris Murray and Child Care marketing click here. Keep these things in mind for all your tours, and soon you will become a pro at enrolling more children than ever before. It will become so second nature to you that even families that drop in for a tour will feel extremely welcome and ready to fill out that enrollment packet on the spot! If you’d like more tips like this, feel free to check out our other blog posts and podcasts at www.childcare-marketing.com. But we have the perfect way for you to recharge your batteries and take your business further, faster! We would love to invite you to attend our live event this fall, the Child Care Success Summit! The Child Care Success Summit is the world’s largest conference for child care business owners and directors that is focused entirely on the BUSINESS of child care. It is our industry’s most transformational event – bringing you the latest in child care business best practices, industry experts, and inspiring speakers. The Success Summit also brings together 700+ child care industry leaders, including Chanie Wilchanski – who will be speaking at this year’s event, and offers networking opportunities unlike any other child care conference out there. You want to create a strong culture of excellence with your staff through confident, empathy-based leadership but are struggling to do so despite all your best efforts. You are struggling with your mindset issues or unproductive habits and need to make a shift in order to accomplish all of your goals and dreams. You are bored with your child care business and looking for new revenue streams or opportunities to do something different. IF you said “Yes!! That’s me!” to any of these, we invite you to join us and 700+ child care business leaders for the groundbreaking Child Care Success Summit 2018, where we’ll spend three extraordinary, life-changing days together in Dallas,TX. We’ll start on Thursday, October 25th and end late afternoon on Saturday, October 27th. And now through July 31st you can get your ticket at a special discounted rate with promo code “ROCKSTAR.” Check it out here. (Also, after you purchase you will be given the option to add guests for only $297!! What an amazing deal!) You don’t want to miss this conference. Sindye Alexander is the Content Marketing Manager for Child Care Marketing Solutions. 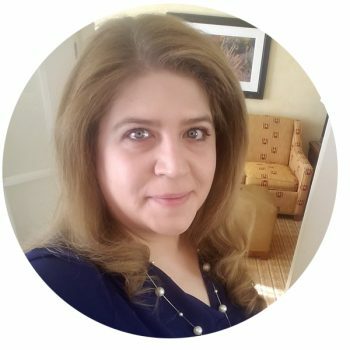 She has over 23 years of experience in the child care field, and shares her expertise in everything from daily operations, marketing and enrollment building, and staff management with Kris Murray clients. Sindye’s book on creating a positive staff culture in your child care business is on schedule to be released later this year. Sindye enjoys creating content and teaching workshops that will help other child care owners and directors grow and succeed. Sindye resides in northern Michigan with her husband, Chad. They have four grown children and two grandchildren. She also values time with her family and enjoys traveling.